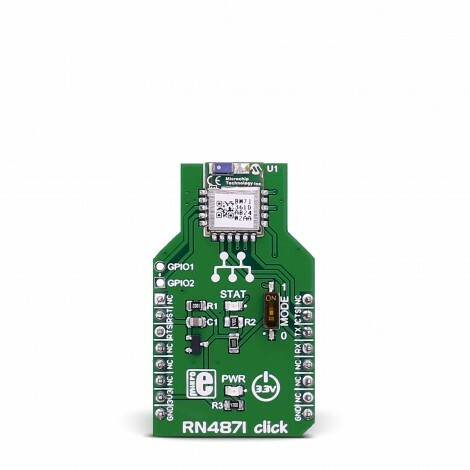 RN4871 click carries the RN4871 Bluetooth® 4.2 low energy module from Microchip. 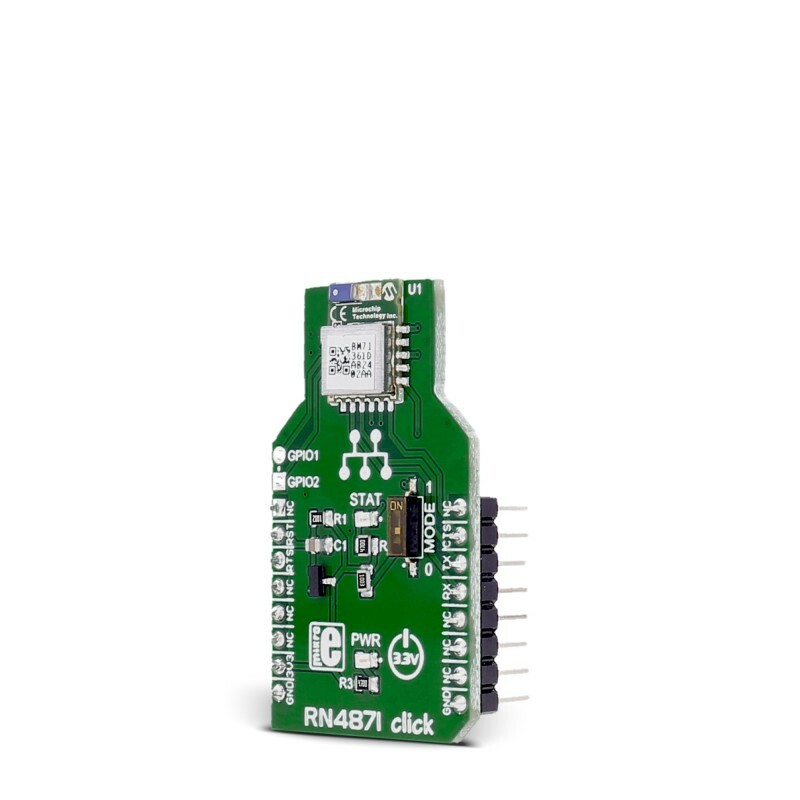 The click is designed to run on a 3.3V power supply. 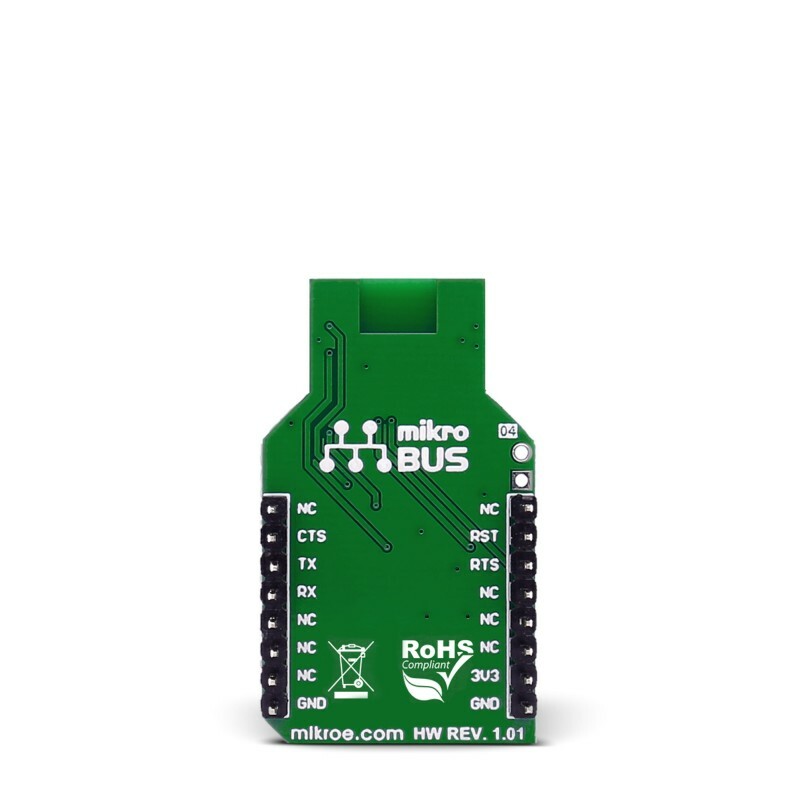 It uses ASCII Command Interface over UART for communication with target microcontroller, with additional functionality provided by the following pins on the mikroBUS™ line: RST, CS, and INT. 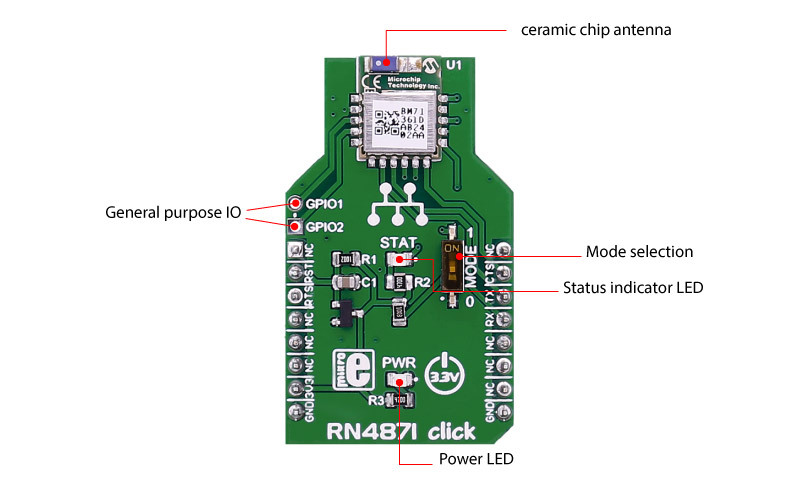 This table shows how the pinout on RN4871 click corresponds to the pinout on the mikroBUS™ socket (the latter shown in the two middle columns). Code examples for RN4871 click, written for MikroElektronika hardware and compilers are available on Libstock. The following code snippet shows send function for RN4xxx clicks. 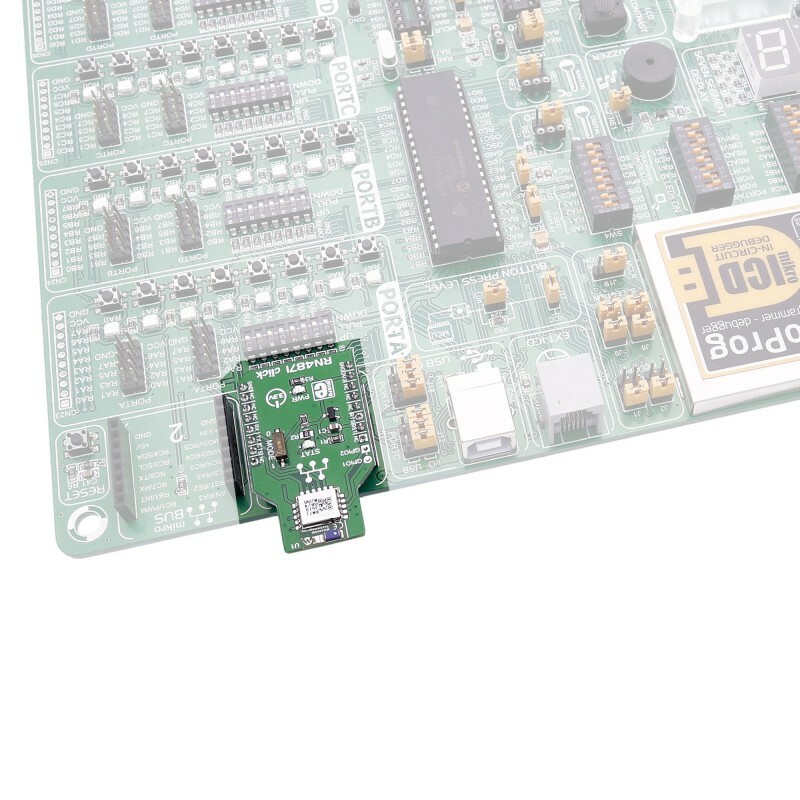 If the message type is correct, it will estabilish connection with the device specified by the address in the parameter and then send the properly formated data.